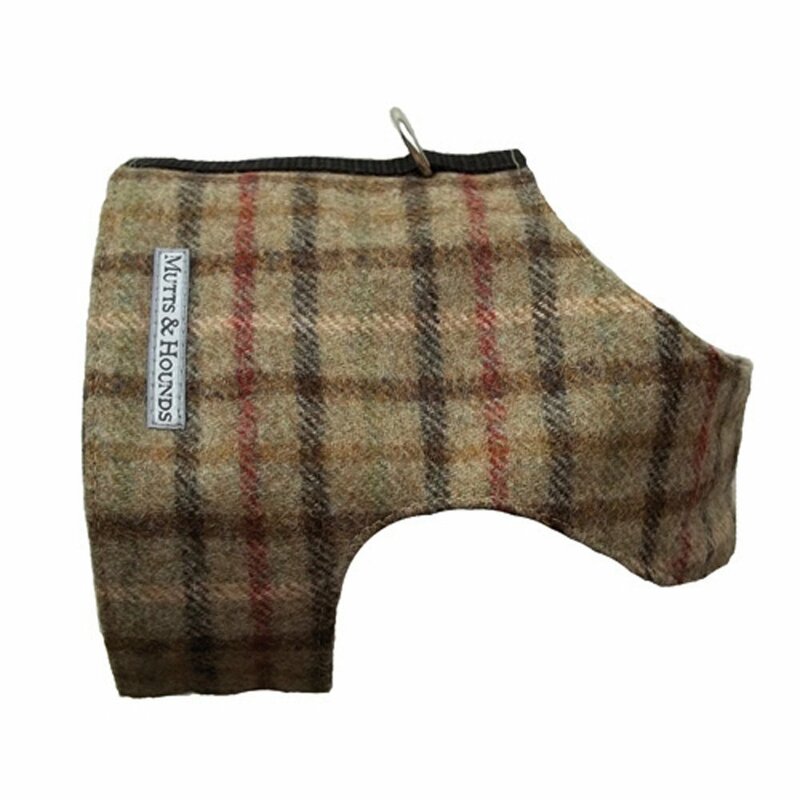 The Mutts and Hounds Balmoral Tweed Harness is a stylish and comfortable choice for walking your dog. The tweed used in making this dog harness has been expertly crafted in Yorkshire woolen mills since 1837 and will give your dog a touch of country chic. This harness is perfect for walks and is easily taken on and off using the secure adjustable velcro fastenings. Clip your dogs lead on the d-ring along the back of this Mutts and Hounds Balmoral Tweed Harness and head off for a walk along your favourite path.